Q: Would RDs prefer we volunteer far in advance and risk backing out at the last minute or would RDs prefer we volunteer later when we’re positive we can commit to a given volunteer date? A: The former. RDs prefer volunteers sign up far in advance unless there is a high likelihood of being unable to attend. It’s much easier to deal with a handful of volunteers backing out at the last minute than having to deal with many volunteers signing up at the last minute. 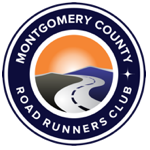 Q: I volunteered for a race and the volunteer page said I would be contacted shortly by the RD. But I have not been contacted and it is late. Is there someone else I should contact or am I not needed? A: We’ve encountered circumstances where the volunteer did not provide a working email address or mail from the RD bounced back. If you have not been contacted and are concerned about this, verify that your email is receiving email and email the RD directly (using the address from the volunteer page). If you’re still not contacted, show up anyway. Volunteers are expected to show up no matter what mistake the RD makes! Q: I’m afraid I will make a mistake (such as misdirecting runners) that will ruin the race. What’s the safest job for my first volunteer experience? A: Yes, directing runners is a crucial job and while we aim for perfection, don’t worry – we understand when things don’t go perfectly. But if you want a job that’s low on pressure and no contact with runners, consider cleanup. If you don’t mind dealing with people, there’s also parking and refreshments. For a specific race, contact the RD for more advice. Q: I don’t have much free time and when I do, I like to run. How do people choose which race to miss? A: There are many factors you might like to consider. For example, if you do a long run on Saturdays, consider volunteering for a Sunday race which will give you a day of rest. Conveniently, our races are split almost evenly between Saturday and Sunday! Some of our races are in interesting places that you might not otherwise visit. So if you volunteer, you’ll be left with the rest of the day to explore, shop, eat, or see something interesting in a new locale. Q: I want to volunteer for another organization’s event. Can I borrow some club equipment for the day? A: No. MCRRC does own quite a bit of equipment that we are happy to assist other events with. However, we provide these goods and services under a contract for Race Management Services (RMS). Contact rms@mcrrc.org for more info.